The key driver for the Global Body Armor and Personal Protection Systems Market is preventing the loss of life during conflict, according to research one of the major causes of death are small arm fires and shell fragments. During World War II, around 70% of the deaths were due to shell fragments, however the introduction of the flank jackets played an important role in reducing the causalities due to shell fragmentation to 36%. Ever since the introduction of the Kevlar, the market has transformed from thick hard steel plates to lighter material with same or more resilience. Ever since the introduction of armor there has been a sense of struggle for dominance between the arms and ammunition market and the body armor market. The introduction of the Armored Piercing bullets rendered the armor plates inefficient. The report titled “Global Body Armor and Personal Protection Systems- Market and Technology Forecast to 2027” covers the evolution and market dynamics that has shaped the Military Armor and Personal Protection Systems market. 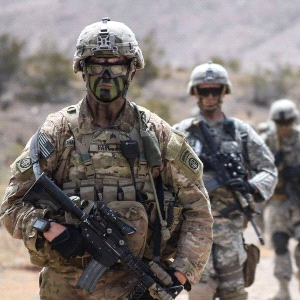 The Global Body Armor and Personal Protection Systems Market is estimated at around USD 1.36 Billion and is estimated to grow to USD 1.90 Billion during the forecast period 2019-2027. The total study period of this report is 2017-2027. The body armor market has witnessed multiple new programs in the past few decades, the key outcome of all these programs are towards developing a lighter and stronger armor. These continuous innovation programs have led to technologies like the exoskeleton and spider silk based armor. The four key success factors in the body armor and the PPS market are the cost, weight, strength and mobility. The report covers the above mentioned technologies and a few more technologies which are expected to drive the market during the forecast period, these are covered in the Technology sub section of the report. The report, “Global Body Armor and Personal Protection Systems- Market and Technology Forecast to 2027”, covers the market for body armor and PPS in the Global military segment. The report features more than 50+ tables and 130+ figures. This report has been segmented based on armor type, end users, product wise and region. Please refer to the Table of Content for detailed segmentation in the Market Forecast chapters. The report would be helpful for new entrants who plan to enter the body armor and PPS market. The report would help a completely new product entrant or a new entrant to a specific region. The top technologies that would shape the body armor and PPS market have been discussed in detailed. The report provides inputs that could help in taking business decisions related to opportunity maximization, the chapter in this report titled “Opportunity Analysis” covers these aspects. The market analysis chapter helps in understanding the demand drivers, industry trends, and the key challenges in the market. One of the key restraint in the market is the overall troop reduction, the case of UK troop reduction has been covered as an example in this case in the market restraints chapter. The other restraints in this market have also been covered in detailed. The report covers a detailed Porter’s five force model for this market and a detailed PEST analysis is also a part of the Market Analysis Chapter. These would help in making the correct business decisions. The aspects like the ease to enter this market compared to the other markets in Defense have been covered in this section. In the chapter title Events based forecast, the possible scenarios which could impact the market have been identified and market forecast for scenarios have been covered in detailed. Apart from the above mentioned chapters insights could be drawn from the Conclusion and Recommendations chapter and the Company Profiles chapter. The company profiles chapter covers the detailed description of the key players in this market.